Hypothetically, yes. A municipality has enough authority to stop a vehicle type on their roads. Are the 900-series routes placeholders, or, is this an upcoming change with RapidBus? This was all posted in the other artic delivery thread on December 27th, 2018. It isn't a surprise. Furthermore, if you're going to criticize people's post titles, a topic which I find tiring and ridiculous, this should be titled 2018 shouldn't it? I appreciate you're avoiding duplication in name, but, please chill out. Yeah true, a continuation of the North Shore having a general inability to support Transit. Although the two North Vans seem to be doing a lot better. That headline is a bit misleading too. 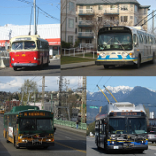 West Van said no to the lanes, not the buses. And they only temporarily said no. The luggage racks predate the decker order by almost a year. Won't happen, not enough density. 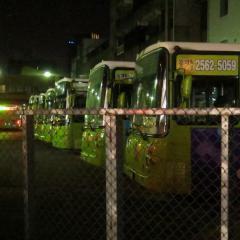 Mass Transit isn't needed to replace a Park & Ride. Maybe in a couple decades Delta will grow enough. The provincial budget today threw a lot of money at this project; looks like the extension to UBC is going to be good to go. That does not need to be true, it could be just to raise capacity. Did Winnipeg use theirs to reduce schedules? That would be annoying & disappointing. Sometimes, albeit rarely, Metro Vancouver residents are known to cross municipal lines.